I just wrapped up a great trip to coastal CA/OR. We started out fishing with guide Drew Griffith on the Smith. 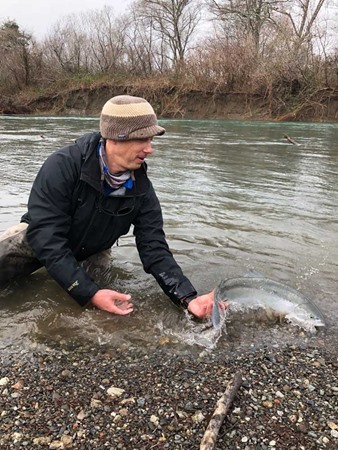 My buddy Jim learned how to spey cast with Drew's help and was rewarded with a beautiful Coastal Cutthroat for his efforts. I didn't get bit, but I sure thought it was going to happen in a few spots. 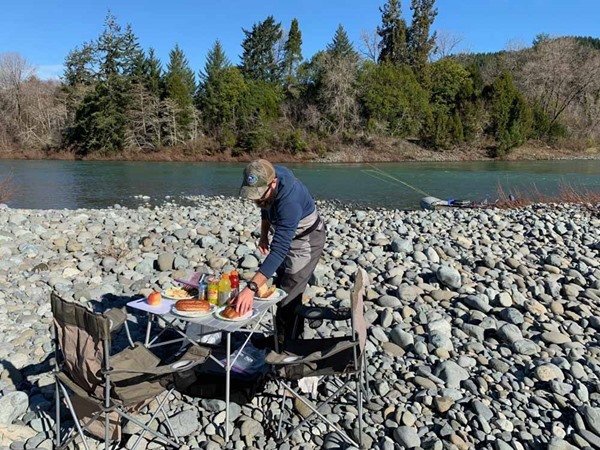 The river was a beautiful steelhead green and dropping rapidly. Even the gear guys seemed to be struggling that day, though. That's generally not a good sign for the fly anglers. Our 2nd and 3rd day were spent in southern Oregon with guide Travis Bowman. 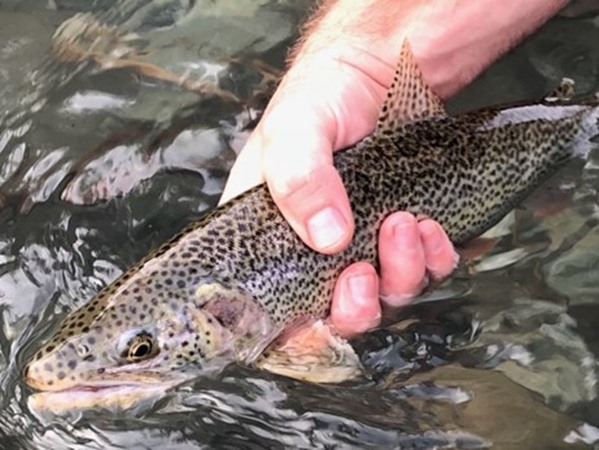 It was a ton of fun and we also managed to connect with 5 adult fish in 2 days. A couple were really brief encounters but the rest were lengthy battles, some won and some lost. 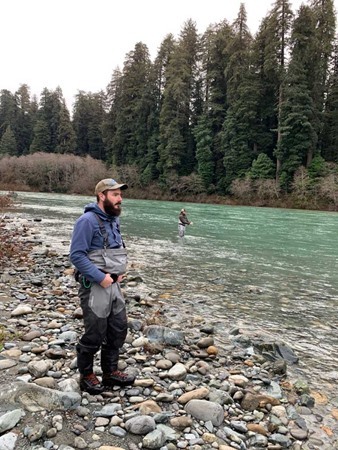 I love fishing this area as there are many different water types and you can catch chrome winter steelhead on single-hand and spey rods.